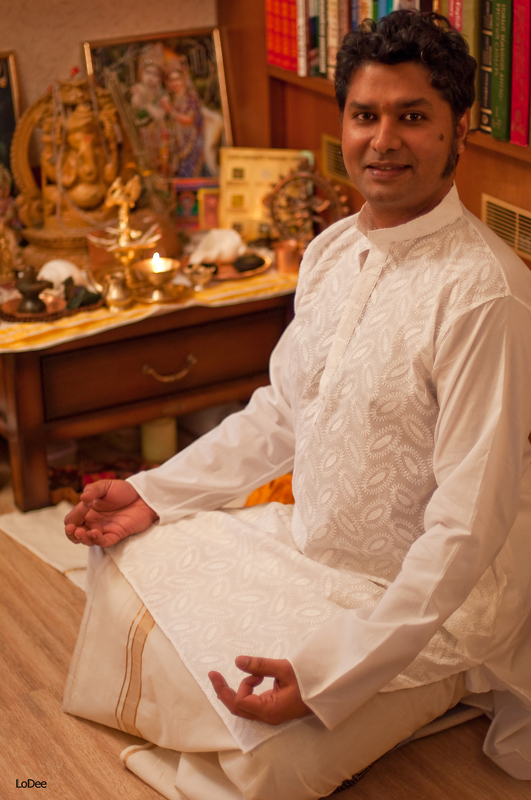 Rakesh was born in Rishikesh, the capital of yoga that is surrounded by the Himalayas and blessed by Mother Ganga. Rishikesh is known to be the place where great spiritual Masters, Yogis and Yoginis lived and taught seekers from all over the world. Growing and learning in Rishikesh nourished Rakesh with a deep foundation in yoga, yogic philosophy and Indian tradition. He studied Iyengar yoga for many years with Br. Sri Rudra Dev and Smt Usha Devi, two of the senior-most disciples of Guruji BKS Iyengar. He attended Iyengar yoga programs with Iyengar teacher Nanda Kumar and went to Pune to study at the Ramamani Iyenger Memorial Institute. His interest in different traditions of yoga led him to visit Mysore in 2010 where he studied Ashtanga yoga at the K. Pattabhi Jois Ashtanga Yoga Institute with Amma Saraswati ji, the daughter of Pattabhi Jois. 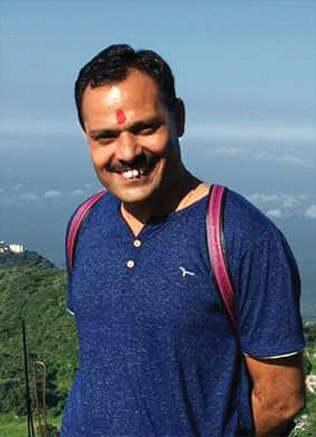 After more than a decade of committed yoga study and practice, Rakesh completed two teacher training courses in two different yoga schools (RYS) with additional 500 Hrs of yoga training. Arsha Yoga Peetham is registered with the Association of Yoga Teachers and Yoga Schools, Yoga Alliance – USA and conducts yoga teacher training courses with Yoga Alliance certification spanning over 200 & 300 hours. Rakesh began teaching yoga himself as an assisting teacher for the Iyengar yoga teachers Diwan S. Bisht and Silvano Beltramin in their Iyengar yoga retreats. He taught workshops and retreats in Thailand and conducts classes, workshops and retreats in Rishikesh and abroad. In his teaching, Rakesh uses predominantly the main elements of the Iyengar tradition, like precise alignment, sequencing and props. In keeping with his admiration & gratitude for yoga traditions, he blends to his practice Ashtanga Yoga flow, pranayama, meditation, Kirtan and Indian philosophy, imparting a deep and complete yoga experience. Swami Brahmavidyananda Saraswati, a disciple of Swami Dayananda Saraswati, is a scholar and Acharya of Vedanta and Sanskrit. Earlier he was an engineer by profession, which he left to dedicate his life to the pursuit of knowledge. He unfolds Vedanta in a systematic, lucid manner and while retaining all of its profundity, makes it very easy to understand. As the Acharya of a 3-year course in Vedanta and Sanskrit conducted at Swami Dayananda Ashram in Rishikesh (2003-2006), he unfolded the Sanskrit commentaries of Adi Shankaracharya on the Upanishads, as well as taught the Bhagavad Gita and Sanskrit. The depth of his assimilated understanding of Vedanta is apparent in his nature which expresses as heart-touching simplicity of being, love, compassion and extraordinary patience. He has an ashram near Vadipatti, Tamil Nadu, and is currently teaching another 3 years course on Vedanta and Sanskrit at Swami Dayananda ashram in Rishikesh. Sri Ram is a student and disciple of Swami Dayananda Saraswati, one of the most prominent Advaita Vedanta Teachers of the modern age, and the founder of the Arsha Vidya Gurukulam (Pennsylvania, USA, Rishikesh india & Coimbatore India) institution for the studies of Sanskrit, Vedanta, vedic astrology and Vedic rituals. This spiritual and philosophical tradition goes back to Adi Sankaracharya, the greatest Master of the Ancient India. It is the essence of the Vedas and the summit of the whole Vedic knowledge. Having the same origins with yoga, Vedanta helps to understand the real meaning and the value of the yoga practice. 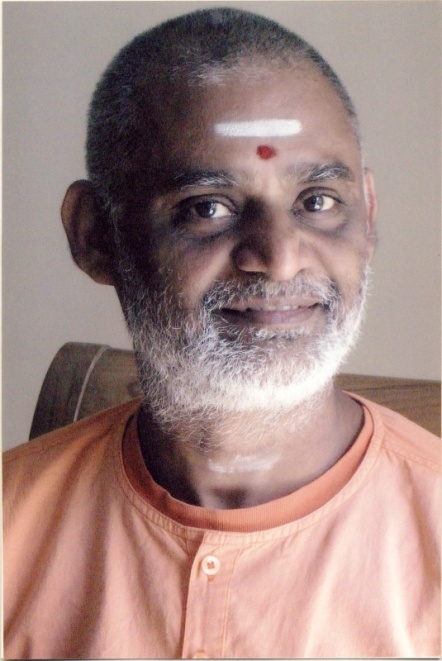 In summer 2013 on the advice of his Guru Swami Dayananda Saraswati, Ram studied Iyengar yoga in Pune under the guidance of Guruji Sri BKS Iyengar and his daughter Gita Iyengar. Since 2009 Ram permanently lives in Moscow, Russia, visiting India regularly. He conducts classes on mantra chanting, lectures on the Vedic philosophy, gives consultancy on the Vedic astrology (jyotisha). Ram participates in pujas and ceremonies on the occasion of Indian festivals, yoga studios opening ceremonies and other important events. These activities might be interesting and very useful for those who are looking for the harmony, peace and integrity within themselves being involved in the whirlpool of the modern life. Ram is married to Victoria (Iyengar Yoga Teacher-Moscow) and has three children, two sons and one daughter. Om. Saraswati is a sanyasi who, at the young age off 19, chose to renounce the materialistic world vowing to devote his life towards mastering spiritual knowledge. He is well versed in yoga philosophy based on Vedanta, Patanjali yoga sutra and Bhagwad Gita. He performed a rigorous penance on the banks of river Narmada that lasted for three years. From 2003 to 2006, he enrolled into Arsha Vidya Peetham in Rishikesh to complete the three year Vedanta course conducted by Dayanand Ashram. He was later sent to the tribal belt in Madhya Pradesh by Puja Swami Dayananda Saraswati, where he established a Student’s Home gratis, which he managed for three years. 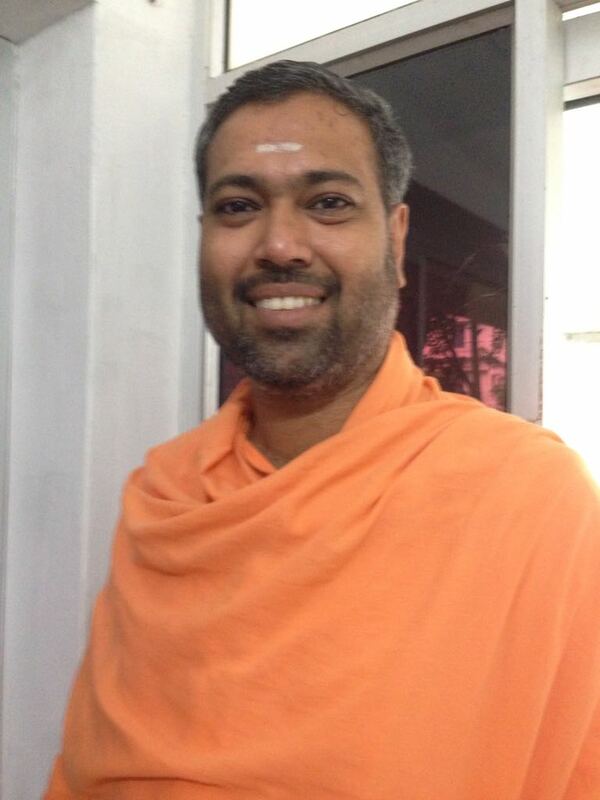 he had accomplished YTTC from Shivananda Yoga ,Nayyar Dam(Kerala). He teaches Yoga Philosophy in Rishikesh at the moment.